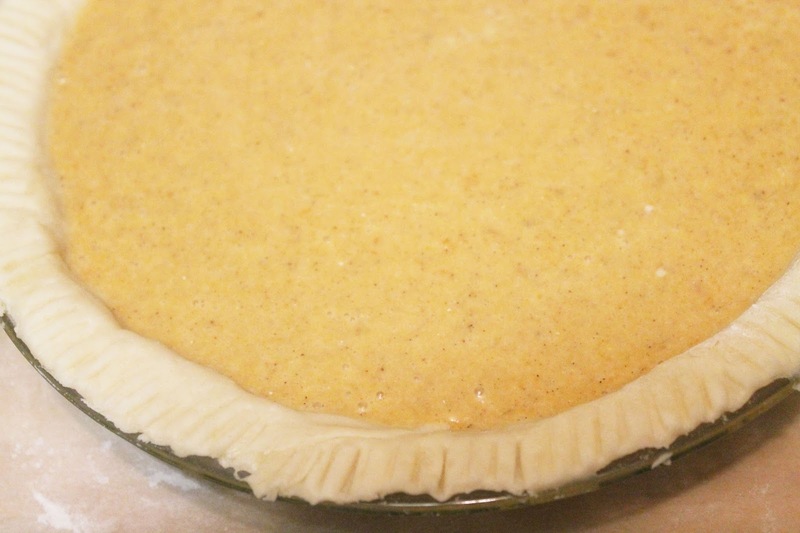 pie crust. I know, that may sound simple. However, for someone that enjoys baking, I should try a little harder a preparing my own pie crust and freezing the dough for future use. During the holidays. It's just more convenient to just purchase the crust and keep it moving. I was really craving sweet potato pie for the last couple of weeks and was sick the first week of December and all last week I volunteered my time helping those in need. So when I finally had the chance I sat down and researched recipes. I came across this recipe and was hesitant at first. I was being lazy and daunting the task of cleaning my food processor after making the recipe. All I could think to myself “was could I just make this recipe by hand?” I followed the recipe to a T and did use my food processor. Which I was happy that I did because now I have another use for it. Besides making black bean burgers, hummus, and prepared veggies. This recipe was super easy to make and it came out perfect. I didn't have any problems with the dough at all. It wasn't too sweet or too hard to manage. I decided to freeze the other half for future use by wrapping it in plastic wrap. 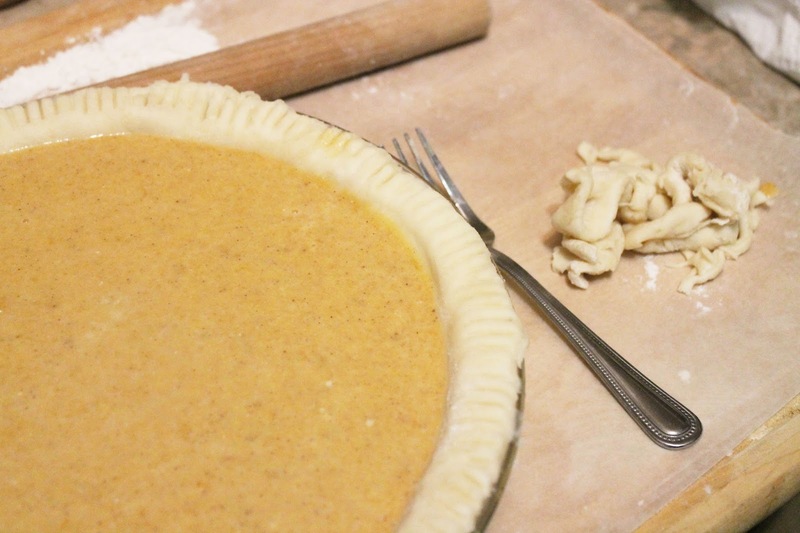 This recipe is now my go-to pie crust recipe. 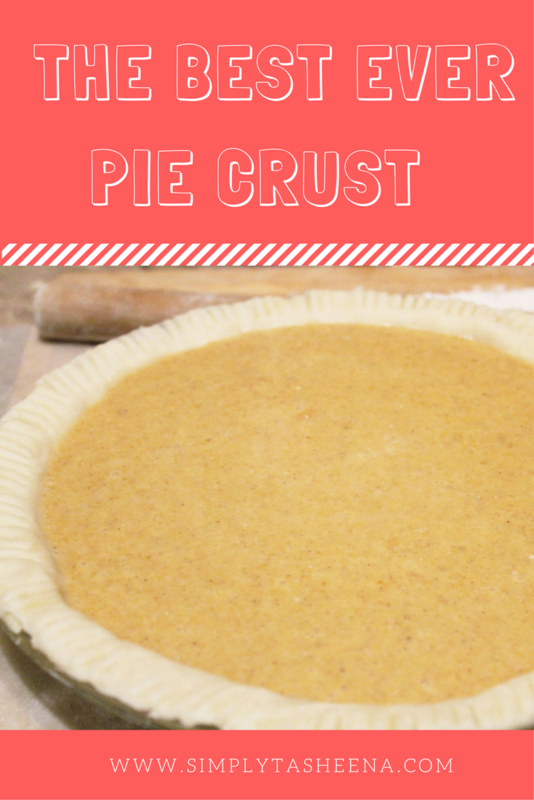 Do you make your own pie crust? 1/2 of water to the freezer (make sure the water doesn't freeze completely. Take the flour out of the freezer and place the flour, salt, and sugar in the bowl of a food processor fitted with a steel blade and pulse a few times to mix. Take the butter and shortening out of the freezer and add it to the flour mixture. Pulse 8 to 12 times, until the butter is the size of peas. Cut the dough in half. Roll each piece on a well-floured board into a circle, rolling from the center to the edge, turning and flouring the dough to make sure it doesn't stick to the board. Fold the dough in half, place in a pie pan, and unfold to fit the pan. Repeat with the other crust. I've never made my own pie crust. To be honest, I've never made my own pie! I admire people who can make a pie that tastes good AND looks good like this one! The best I can do is an oreo-cream cheese or ghram cracker crust! This looks amazing, and more power to you! 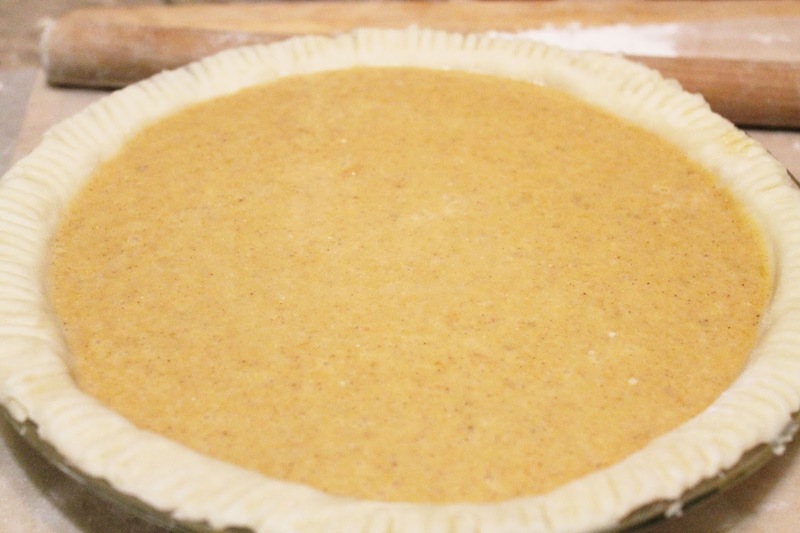 This pie crust looks super tempting and delicious! Thanks for sharing the recipe with us! 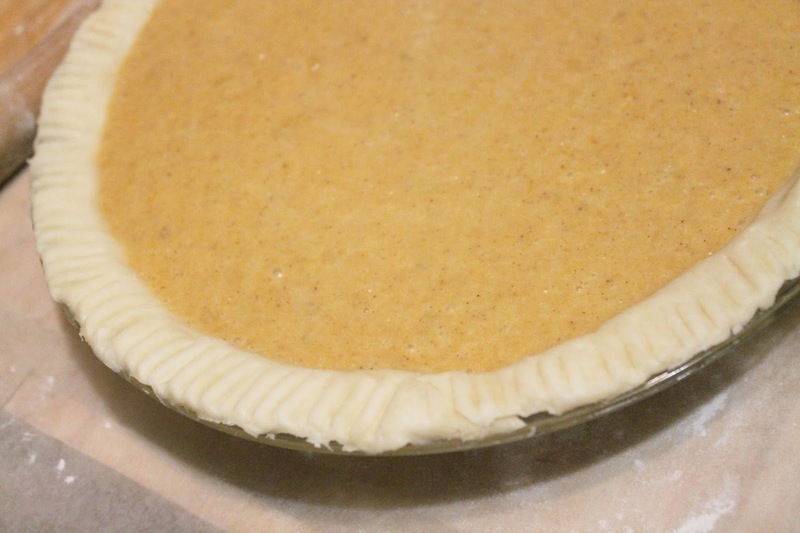 I alway seem to screw up pie crust, I'll have to give this a try. My husband likes to make his own pie crusts, me not so much. I prefer buying the already made store pie crusts. Thanks for sharing the recipe. I need to try this recipe! I don't make my own its usually store bought but I'd like to give this a go! What a cute idea and love the play on words! Thank you so much for sharing with us at Dishing It & Digging It! Find the lowest price of oppo f7 price in Pakistan. Daily updated mobile prices. 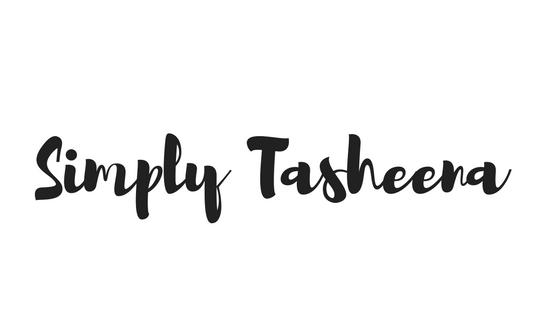 Find and Compare Prices from all online stores in Pakistan.